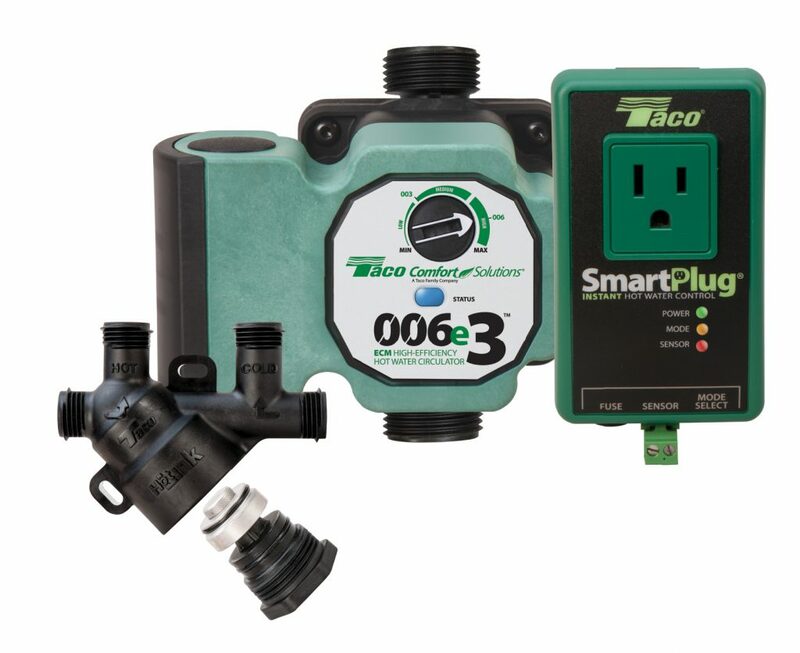 Taco’s Hot-LinkPlus DHW recirculation system combines a 0006e3 ECM hot water circulator with Taco’s Hot Link valve and smart plug instant hot water control. The Hot-Link valve is installed at the building’s furthest water fixture and sends cooled water back to the water heater so that hot water lines remain hot. The circulator has three performance curves to best match the application. The smart plug learns hot water usage patterns and delivers hot water when it’s needed, reducing energy use and extending the life of the water heater.